For women, though, pursuing happiness is a complicated endeavor, and if you head out into America and talk to women one-on-one, as Jill Filipovic has done, you'll see that happiness is indelibly shaped by the constraints of gender, the expectations of feminine sacrifice, and the myriad ways that womanhood itself differs along lines of race, class, location, and identity. 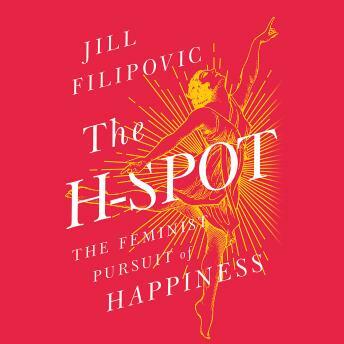 In The H-Spot, Filipovic argues that the main obstacle standing in-between women and happiness is a rigged system. In this world of unfinished feminism, men have long been able to 'have it all' because of free female labor, while the bar of achievement for women has only gotten higher. Never before have women at every economic level had to work so much (whether it's to be an accomplished white-collar employee or just make ends meet). Never before have the standards of feminine perfection been so high. And never before have the requirements for being a 'good mother' been so extreme. If our laws and policies made women's happiness and fulfillment a goal in and of itself, Filipovic contends, many of our country's most contentious political issues--from reproductive rights to equal pay to welfare spending--would swiftly be resolved. Filipovic argues that it is more important than ever to prioritize women's happiness-and that doing so will make men's lives better, too. Here, she provides an outline for a feminist movement we all need and a blueprint for how policy, laws, and society can deliver on the promise of the pursuit of happiness for all.